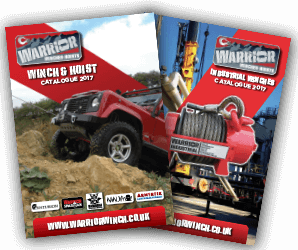 1.7 'Seller' means Winch Solutions Ltd trading as Warrior Power Products of Unit 27 Salisbury Road, Haydock Industrial Estate, St. Helens, Merseyside, WA11 9XG. 2.3 Placing an order with the Supplier shall be deemed conclusive evidence of the Buyer's acceptance of these Conditions. 3.1 The Price shall be the price stipulated in the Seller's published price list current at the date of the Buyer's order. The Price is exclusive of VAT which shall be due at the rate ruling on the date of the Seller's invoice. 3.4 Without prejudice to clause 3.1 hereof, the Seller reserves the right to offer the Buyer a quotation. Where the Seller elects to do so (such election to be at the Seller's absolute discretion) it shall be available for acceptance by the Buyer for a period of 30 days from the date thereof. If the Buyer does not accept the quotation within this period, the Seller shall be entitled to amend it or rescind it altogether. 4.1 The quantity and description (including specification) of the Goods shall be the same as set out in the Seller's promotional literature. 5.1.1 All products come standard with 1 year manufacture warranty unless otherwise stated on the item. On any 2 year warranties offered this will cover all parts but labour costs are chargable in the second year. All warranties are at managment discretion, all warranties cover mechanical and electrical faults directly related to the manufactured item, this excludes wear and tear, user or operator error. 5.1.2 All faulty products covered by there respected warranty period MUST be sent back to Warrior Power Products for Inspection. Following the inspection the item will be repaired or replaced by the seller according to the inspection report. 5.1.3 Any faulty products received or become faulty within 14 DAYS from invoice date the seller Warrior Power Products will collect and exchange the item Free of Charge. 5.1.4 All products found to be faulty within 30 days of purchase date customer has the right to cancel and request full refund of the cost of the item only. This can take upto 28days to process depending on bank and payment type. 6.1 The Goods shall be marked in accordance with the Buyer's instructions and shall be properly packed and secured for delivery to the Buyer in an undamaged condition. 6.2 On the date of the Buyer's order, the Buyer shall confirm to the Seller the address to which the Goods are to be delivered. 6.3 Subject to clause 6.2, the Seller shall arrange for carriage of the Goods to the Buyer's address. The costs of carriage and any insurance which the Buyer reasonably directs the Seller to incur shall be reimbursed by the Buyer without any set-off or other withholding whatever and shall be due on the date for payment of the Price. 6.4 The carrier shall be deemed to be the Buyer's agent and the Seller shall not be liable for any loss or damage whatever due to any damage caused to the Goods in transit and/or any failure by the agent to deliver the Goods (or any of them) promptly or at all. 6.8 The Buyer shall notify the Seller of any non-delivery within 3 days of the Delivery Date. Notwithstanding the receipt by the Seller of any such notice a clear signature on a carrier's delivery advice sheet shall be deemed to signify the Buyer's receipt of the Goods (as indicated thereon). 7.4 If the Seller agrees to accept any such Goods for return the Buyer shall be liable to pay a handling charge of 10% of the invoice price. Such Goods must be returned by the Buyer carriage-paid to the Seller in their original shipping carton. 7.5 Goods returned without the prior written approval of the Seller may at the Seller's absolute discretion be returned to the Buyer or stored at the Buyer's cost without prejudice to any rights or remedies the Seller may have. 8.3 Until property in the Goods passes to the Buyer in accordance with clause 8.2 the Buyer shall hold the Goods on a fiduciary basis as bailee for the Seller. The Buyer shall store the Goods (at no cost to the Seller) separately from all other goods in its possession and marked in such a way that they are clearly identified as the Seller's property. 8.4 Not withstanding that the Goods remain the property of the Seller the Buyer may sell or use the Goods in the ordinary course of the Buyer's business at full market value for the account of the Seller. Any such sale or dealing shall be a sale or use of the Seller's property by the Buyer on the Buyer's own behalf and the Buyer shall deal as principal when making such sales or dealings. Until property in the Goods passes from the Seller the entire proceeds of sale or otherwise of the Goods shall be held in trust for the Seller and shall not be mixed with other money or paid into any overdrawn bank account and shall be at all material times identified as the Seller's money. 11.3.1 Save for the Buyer's obligation of payment of the Price pursuant to clause 3, neither party shall be liable for any default due to any act of God, war, civil disturbance, malicious damage, strike, lockout, industrial action, fire, flood, drought, extreme weather conditions, compliance with any law or governmental order, rule, regulation, direction or other circumstance beyond the reasonable control of either party ('Force Majeure Event'). 11.5.3.4 sends it by electronic mail to the Supplier's business electronic mail address (in which case it is to be taken to have been given on the day on which it is sent). 11.5.4.2 the supply of goods made to the Buyer's specifications or clearly personalised or which by reason of their nature cannot be returned or are liable to deteriorate or expire rapidly. In the event that the Buyer has any complaints about the Goods, he should send them in writing to the Supplier's address (as referred to herein).